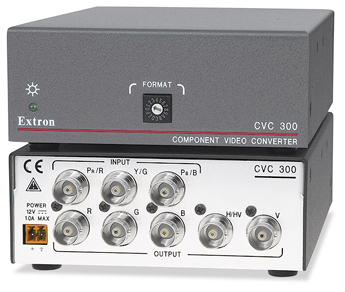 The Extron CVC 300 is a universal, high definition component video to RGB converter. 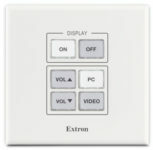 It accepts all common analog component video formats, as well as RGsB, from 480i and 576i to HDTV 1080p/60 and 1920×1200. 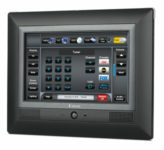 The CVC 300 supports interlaced or progressive scan video with bi-level or tri-level sync, and transcodes the incoming component video signal for output as RGBHV or RGBS, while retaining the input video resolution and refresh rate. 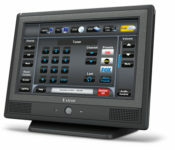 The CVC 300 is ideal for use in applications that require the integration of devices with component video output, such as DVD players, DTV tuners and DVRs, or game consoles, into RGB-based AV system designs.